Louie Banks has it all. A great life, a starting football spot, a wonderful girlfriend, and it are his last year of high school. It seems as if nothing could make his life better. Until his football coach decides to change the way they play a game against the best team in the league. Louie doesn’t agree with coach, but his school rival Boomer Cowans does and what he does causes Louie to quit/get kicked off the team and suspended. After all this however, the biggest shock of his life happens. Now his life has gone from great to horrible. It seems as if Louie will not get his life in order. Will he get it together? Will he try to get back on the team? This book is one of my favorite books I’ve read. Crutcher does a great job describing all of Louie’s relationships with everybody and all his feeling. This book was filled with shocking events that will keep you wanting to read more. 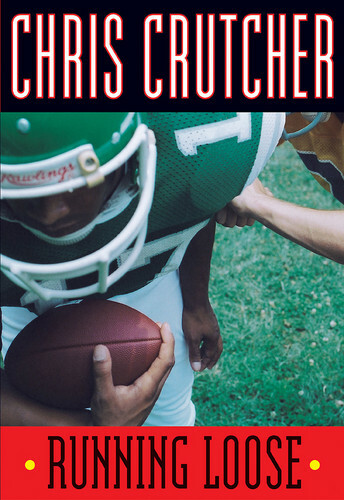 I would rate this book 5 out of 5 stars and would recommend it to a person who likes sports books but also if you like a little romance and schockers. This was a terrific book.